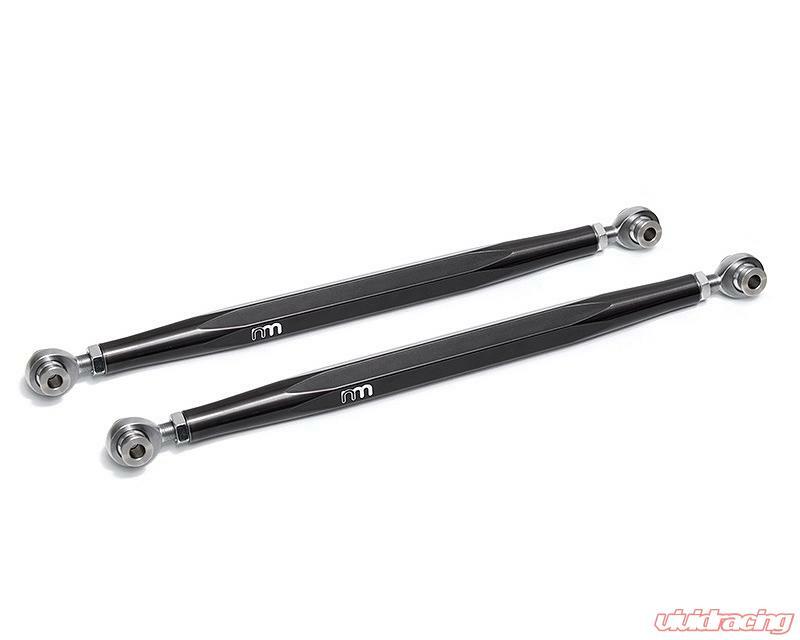 NM Engineering Aluminum Rear Adjustable Control Arms. While other brand control arms use 1" diameter 6061 aluminum material, NM Engineering machines control arms utilizing aerospace grade 7075-T6 1 1/4" hex aluminum bars. The use of larger material provides rigidity and strength of steel bar but without the weight and lack of oxidation resistance. These NM Control Arms use precision heavy duty rod ends made from heat treated hardened steel with self lubricating nylon race. 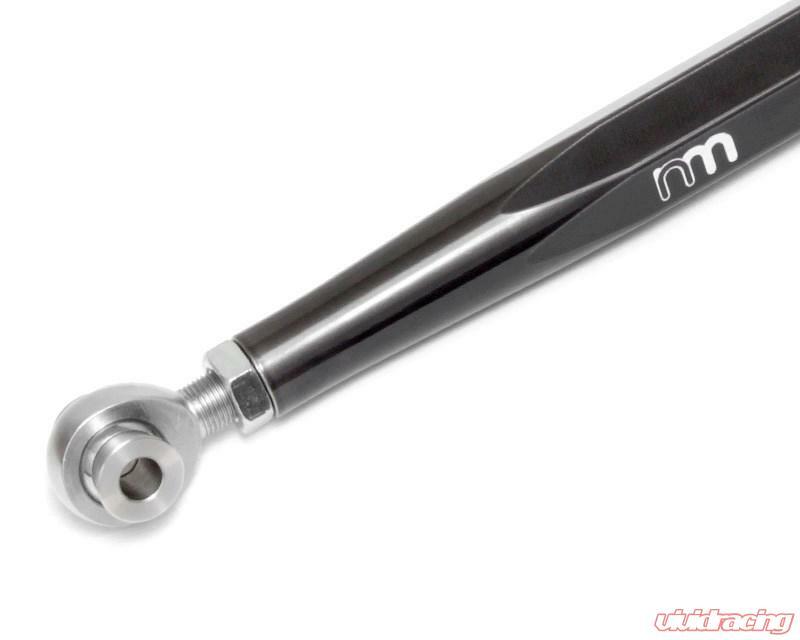 The threaded rod ends allow user to dial the suspension camber to desired specs, crucial for the weekend track enthusiasts and professional racers. T-303 stainless steel is used for the spacers to avoid any flexing and crushing caused by suspension load. 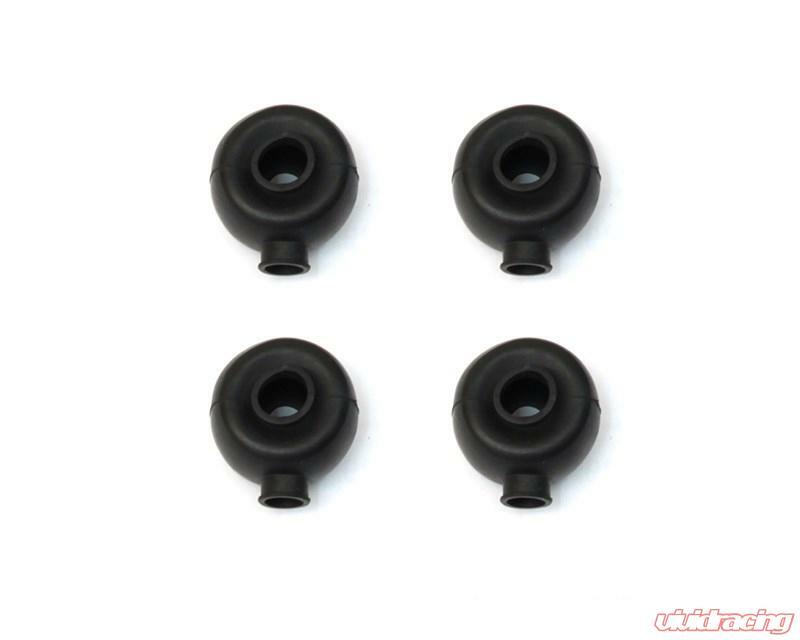 Rubber boots for the rod ends are available as an option to protect the ends from dirt. NM Engineering is a division of Automotive Performance Systems, Inc.. APS is a family owned and operated company which has been in the business of engineering and manufacturing high performance components for the automotive aftermarket for close to 4 decades. APS early roots can be traced back to being one of the earliest BMW tuners. Back in 1979, APS built parts for its first project car, a BMW 320i, which included springs, sway bars and upper front tie-bar as well as Callaway turbo kit.